Bowl Height: 16-1/2" Green Certification or Other Recognition: WaterSense Approved Rim Height: 16-1/2" Water Surface Area: 9" x 8" Manufacturers Warranty Length: 5 yr. Mounting Style: Floor Gallons per Flush: 1.28 Bowl Width: 14" Trapway Dia. 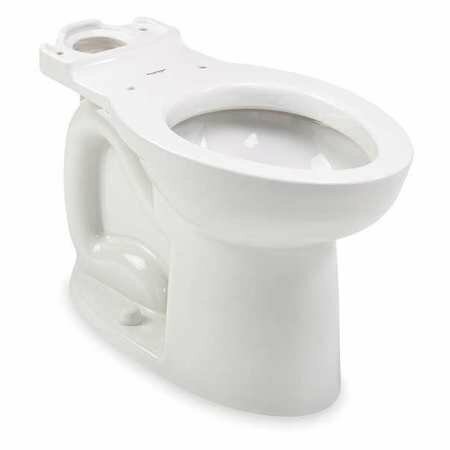 : 2-1/8" Material: Vitreous China with EverClean(R) For Use With Tank Type: Gravity Fed Tank Item: Toilet Bowl Bolt to Seat Front: 18-7/16"